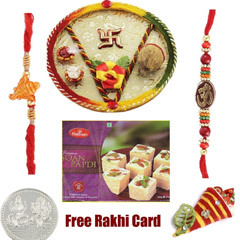 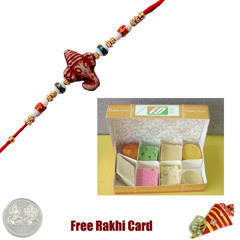 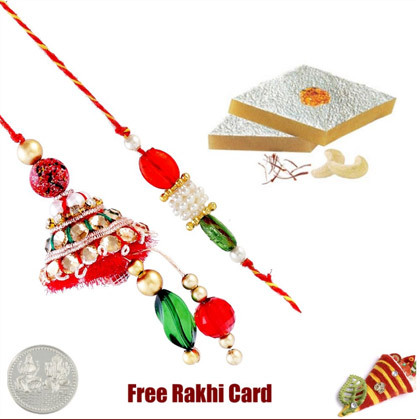 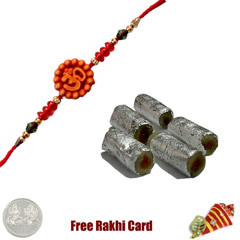 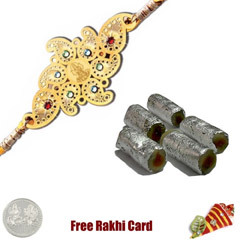 Send a beautiful Lumba Rakhi set for Bhaiya and Bhabhi with Half Pound Kaju Katli from Rajbhog, a Free Silver Plated Coin, Roli Tikka and a Rakhi Card. 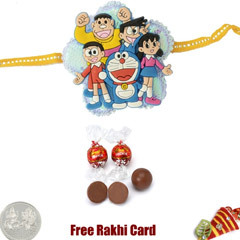 Delivery only in USA.Shipment will be sent via USPS Priority Mail with tracking number and delivery confirmation. 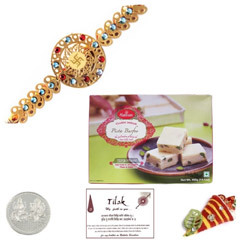 Please place your final order by August 22nd, 9 PM Central Time for guaranteed delivery on August 26th 2018. 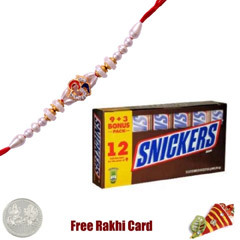 Rakhi design may vary from the image but will be of similar design and value.